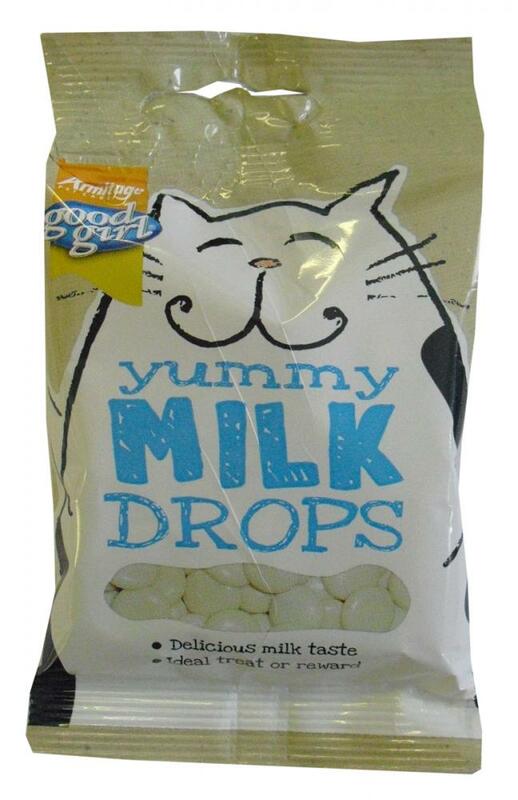 Good Girl Milk Drops are tasty little cat treats which have a smooth milky taste that cat's can't get enough of. They can be given as a treat or complementary snack. Oils and Fats,Milk and Milk Derivatives (Milk content 4%) ,Various Sugars ,Cereals and Minerals. There are currently no questions for Good Girl Milk Drops Cat Treats - be the first to ask one!